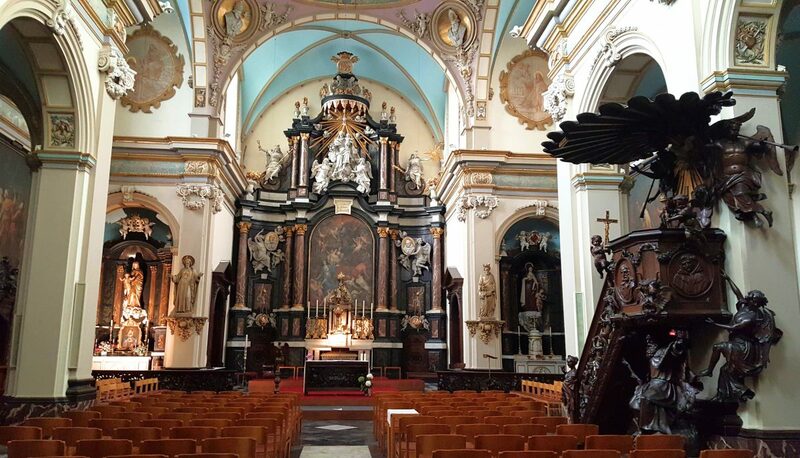 When I travel to a new destination, I love visiting the churches in that city or town, for two reasons. 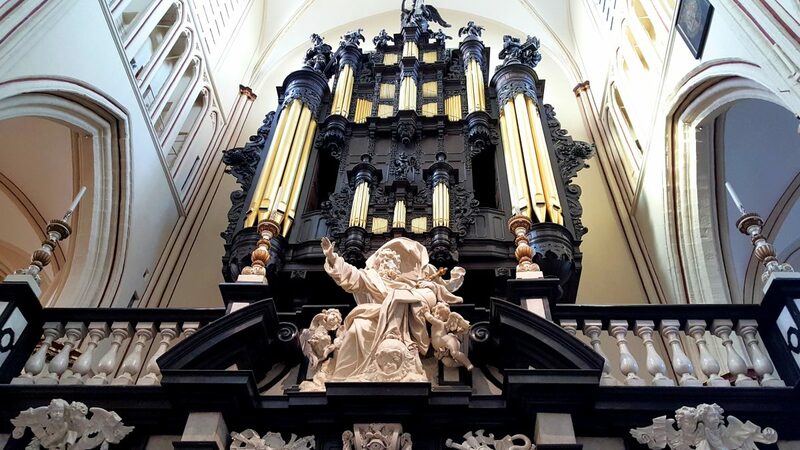 Firstly, I find that churches, or religious buildings in general, are often architectural marvels that house incredible works of art. Just think of, for example, the Sagrada Familia in Barcelona or the Milan Cathedral. 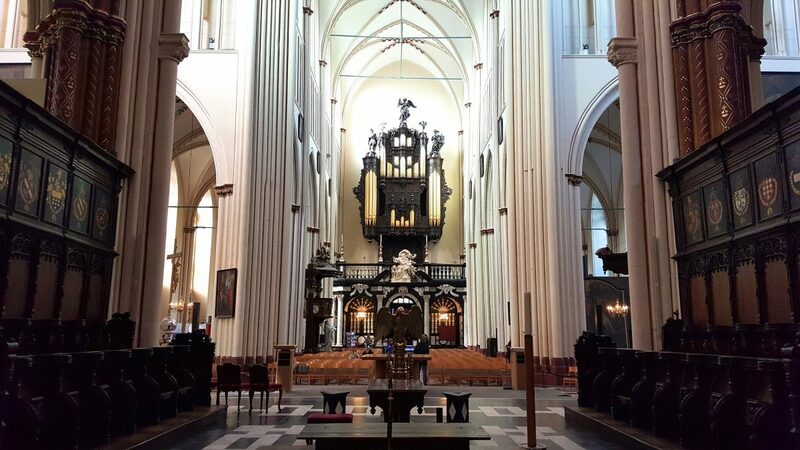 Churches are also frequently the heartbeat of the city. I couldn’t imagine Paris without the Notre Dame or Florence without the Duomo. 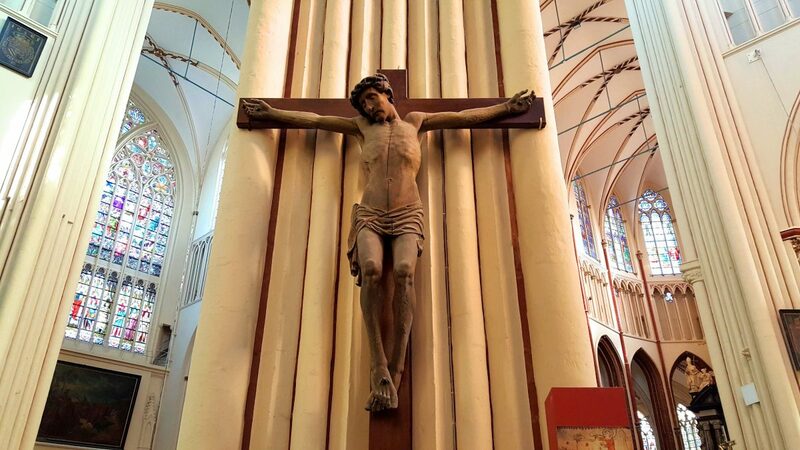 Secondly and most importantly, as a Christian, I love taking a moment to slow down inside these churches. When I travel, it’s usually at a high pace as I try to see and do as much as I can. So it’s great for me to take a breath, check in with God or pray for a random person I see inside the building, and just remember what life is really about. 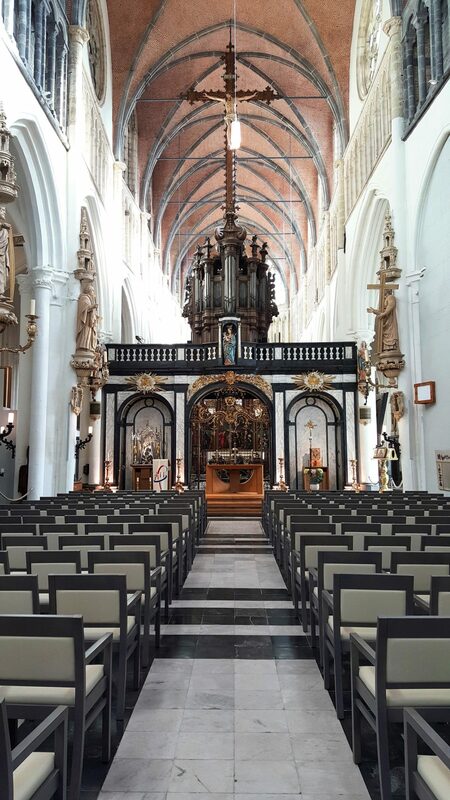 Anyway, back to the churches of Bruges. I didn’t visit every single church in the city, but I managed to visit five. My thinking was this: I’m just going to stroll around town, and if I happened to walk past a church and I could enter it, I’d do so. 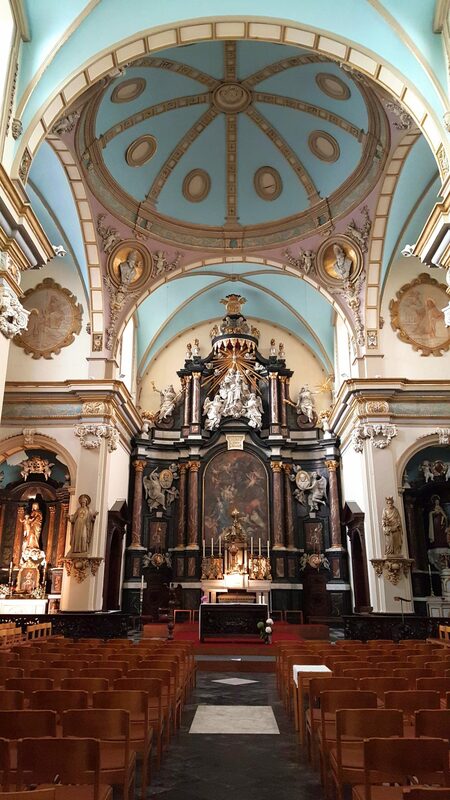 This church and monastery is definitely off the beaten track and dates back to the 1600’s. I visited it because the church happened to be a couple of doors down from the hostel where I was staying, and the door was open. So I popped in, why not? The chapel is small, but the interior is really beautiful, fitted with lots of wooden furnishings and a light blue ceiling. Also, no one else was around and I enjoyed the solitude for a couple of minutes. Construction on the impressive St. James’s Church started in the 13th century. This church was also on the path from my hostel to the Market Square. I didn’t manage to see the inside because when I walked past in the morning, the doors were closed. Only later did I read online that the church is open between 13h00 and 18h00 in the afternoons. Bummer. 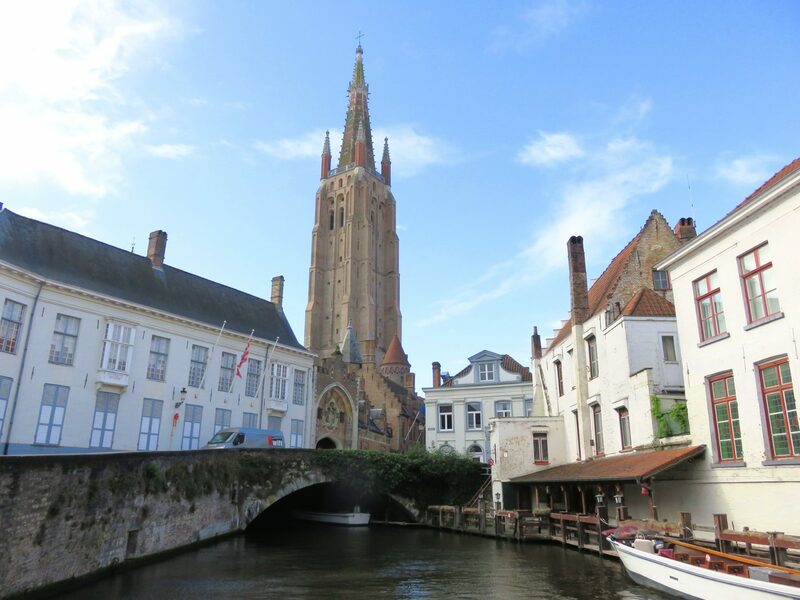 At 115.5 m, the church tower is the tallest structure in Bruges. 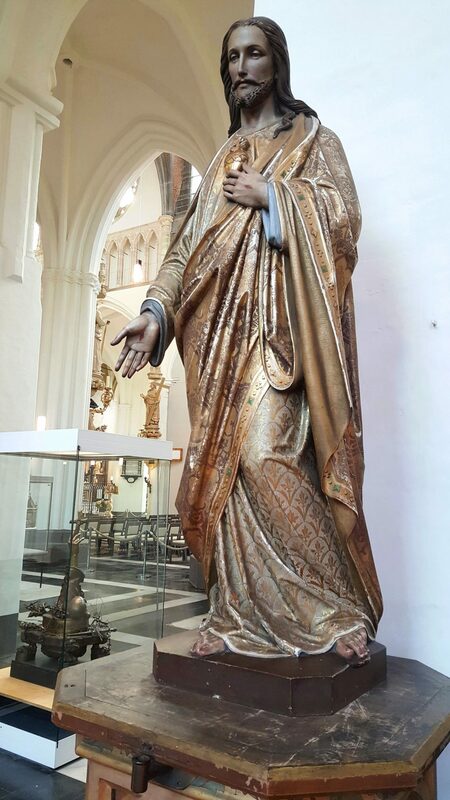 The Church of Our Lady also houses a rich collection of artworks, including a sculptor by Michelangelo, in its museum. 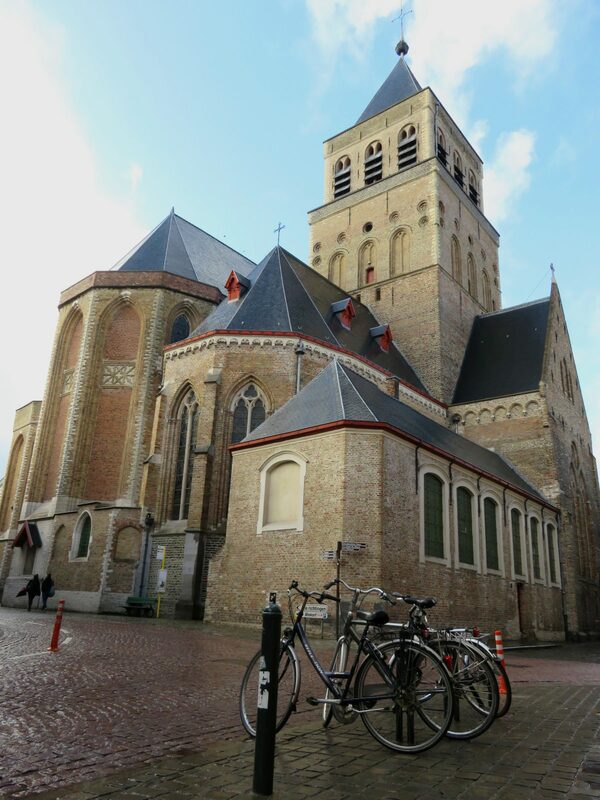 Although entrance to the church is free, if you want to visit the museum, you have to pay a fee of €6. 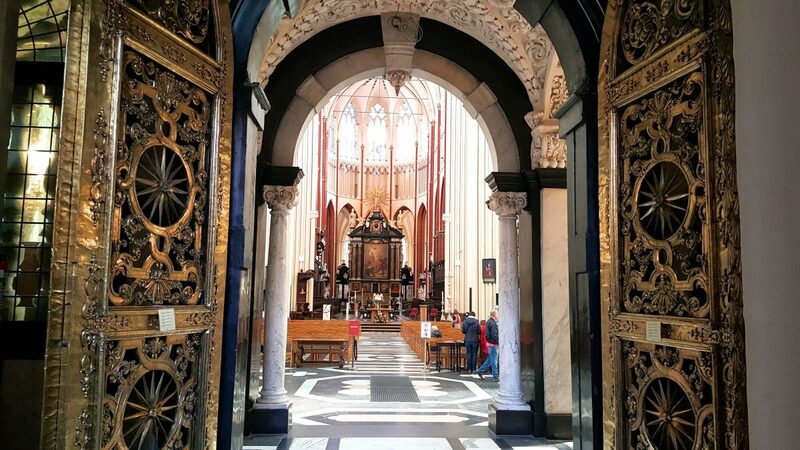 Of all the churches in Bruges, I liked the interior of St. Saviours Cathedral the most. There are lots to see, from the impressive organ to golden sculptures (one of the cathedral itself) to original paintings. 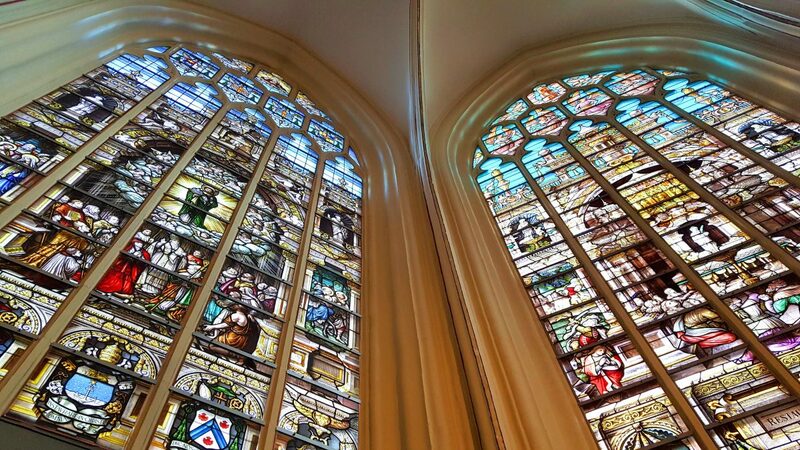 My favourite part of the cathedral is the stained glass windows. 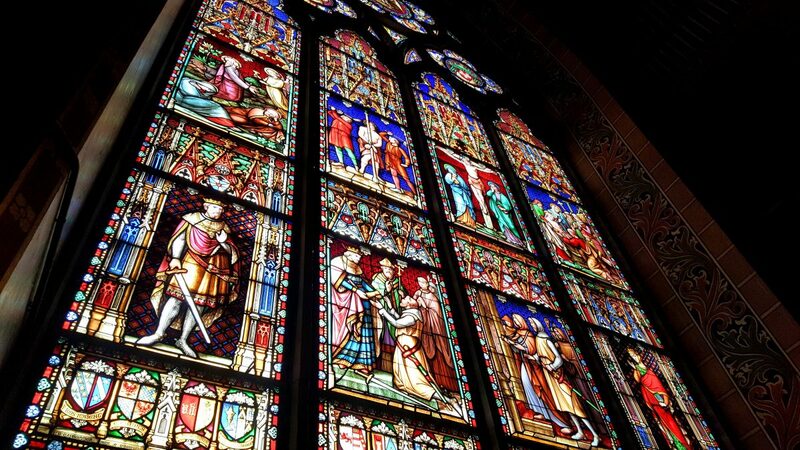 They are magnificent, and I always enjoy trying to figure out which story from the bible they depict. 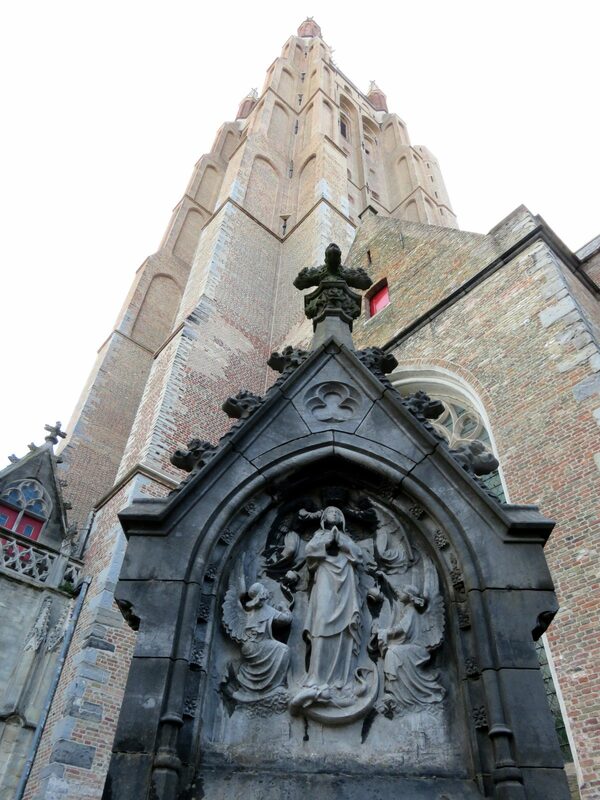 This church is easy to find as it’s located on Burg Square, right in the corner. 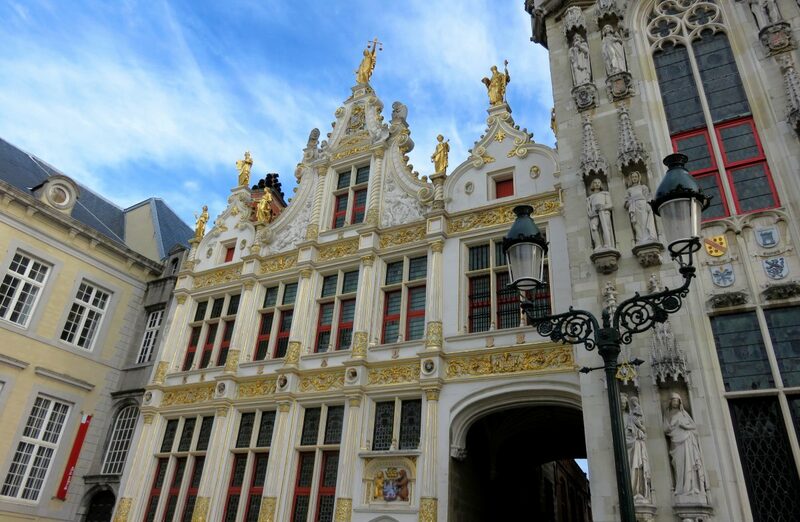 Unlike the other churches which I only visited because I stumbled upon them, I made a point of visiting the Basilica of the Holy Blood. Why? 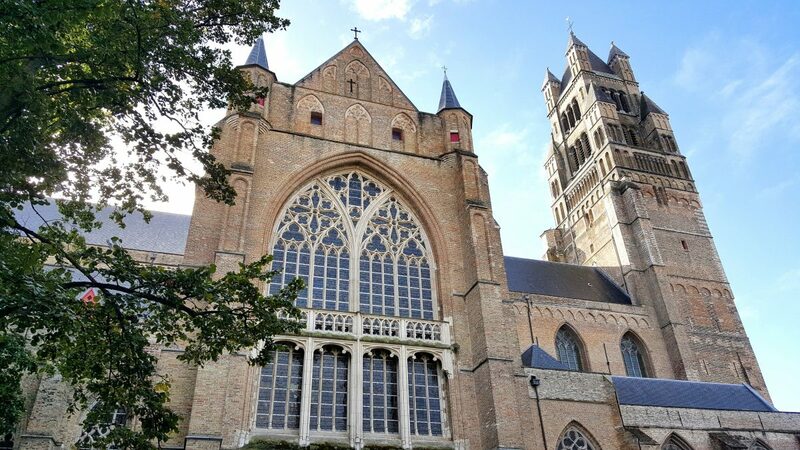 Not only is the church one of the oldest buildings in Bruges, but it also houses an ancient relic, a phial with a cloth that is said to contain the blood of Jesus Christ. 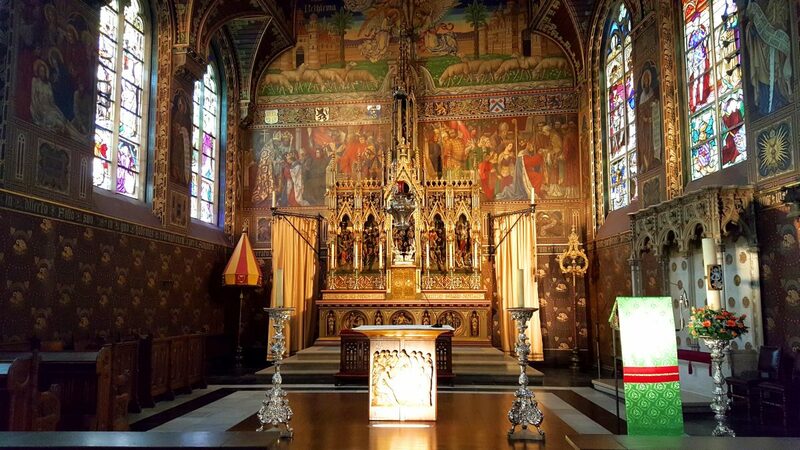 It was brought here from the Holy Land after the Second Crusade. I’d never seen a relic like this before, so I was filled with excitement. And I was curious about something: if the blood on the cloth does belong to Jesus, I’d expect the relic to have some sort of power and that power should be palpable. Now, you may disagree with me here or think that I’m a lunatic, that’s okay. But this was my experience and I’m sharing it. Of course, you are not allowed to touch the cloth itself, but you may touch the glass case in which the phial is housed. When I placed my hand on the glass and then moved away from the phial, I felt something. It’s difficult to put into words. I guess I’d describe the feeling as a surge of energy that passed through my body. So in my opinion, that phial is the real deal. 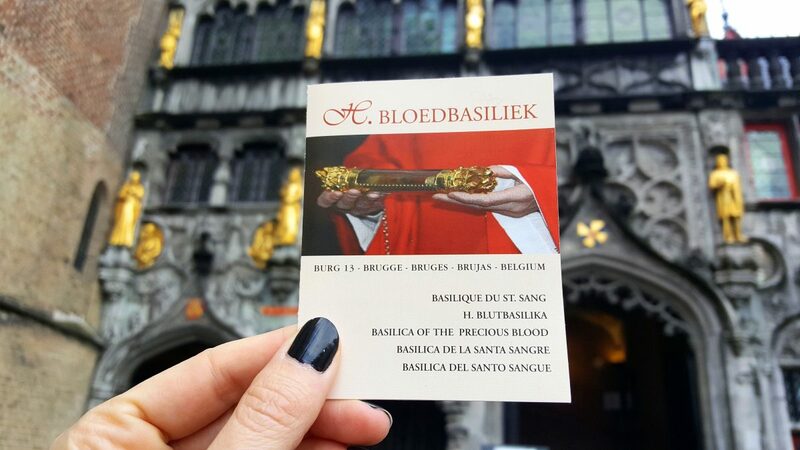 It’s completely free to view the Holy Blood, although you can make a donation if you want to. You can view it daily between 11h30 and 12h00 in the morning, and 14h00 and 16h00 in the afternoon. 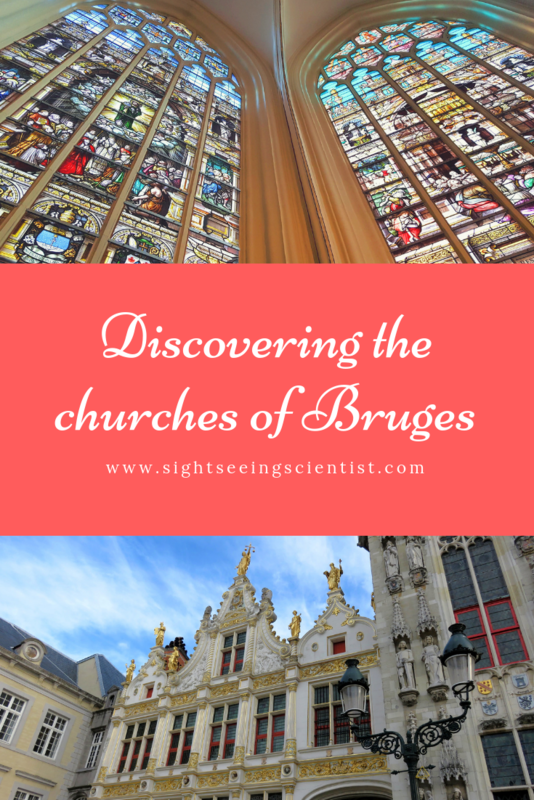 One thing that I loved about the churches in Bruges is the fact that they are all free to enter. In my opinion, churches shouldn’t charge an entrance fee. There are exceptions, like the Sagrada Familia that’s still under construction. I didn’t mind paying to see the inside of Gaudi’s masterpiece. But as a rule, though, churches should be free for all. And everybody should feel welcome.